Bet the firemen were glad when they went out of style... or BANNED! They made me nervous. Never had one. But there was one in every shop up and down the road. Nice. What's the pipe fitting on top? Oil feed? I remember seeing those barrel ones, but was lucky enough to have never had to use one. How did they work? Wood in the bottom and the top was for what? I was reading that the top drum gave lots of extra heat. I think the barrel design was great for maximum heat but a safety hazard because drum sheet metal is too thin. You need thick steel or cast iron to safely handle the heat. That heater is awesome!! What are the two knobs on the bottom? 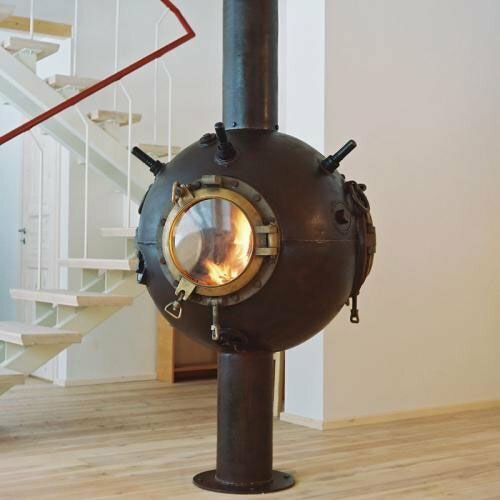 Home made stoves can be awesome. 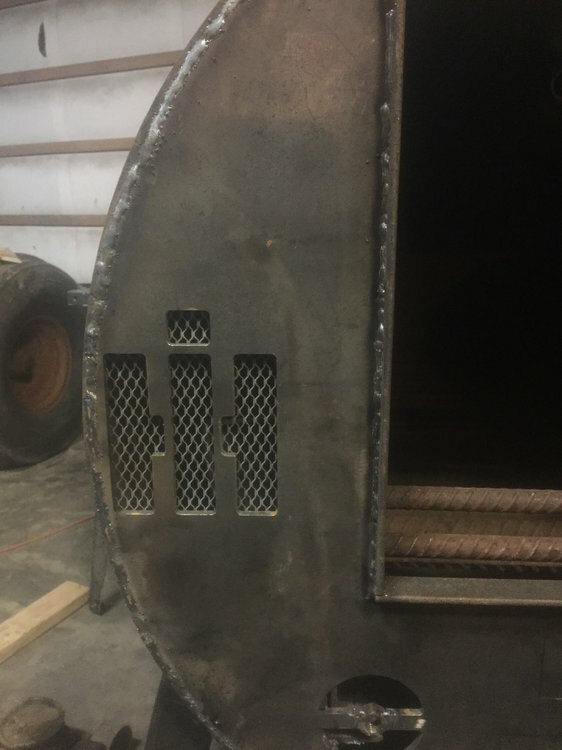 It was made of full sheets of steel so it was 8 feet wide and 4 feet deep with a huge lid that he opened with a chain hoist. I remember watching him load tree stumps into it with a skid steer. This one has been my favorite for a long time. 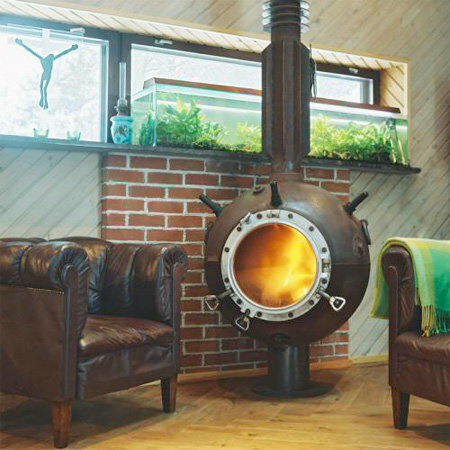 It's made from a WW2 era underwater mine. These are made overseas and I tried to buy one a couple years ago but the shipping was going to be four times what the stove cost. 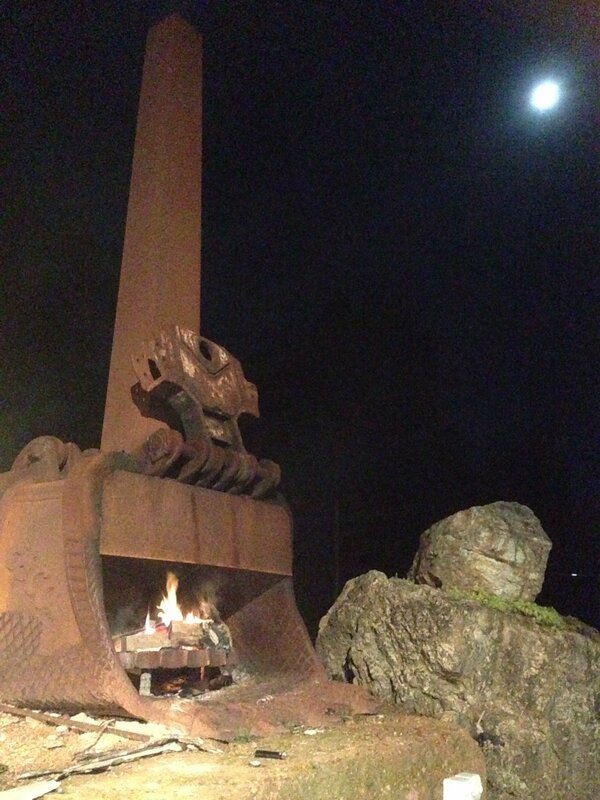 Love the mine stove!!! You can still buy the kits for the two barrel stoves. Every shop around here had a barrel stove or two in it for many years. They even worked better if you run a few pipes through the top barrel with a fan blowing through them. Worked great till you got them a little too hot and they warped bad. I added a 24x32 all season family room onto the house. I wanted to do this but my girl friend said NO. So this is what I'm going to do instead outside. Had two barrel stoves in succession in my shop, the more I tightened the shop up the less heat they put out. Pulled the last one and put in an old coal stove. It worked a lot better than either barrel stovel did. Then a few years later was given a mobile home furnace, ran it for several years, turn it on and turn it off. No problems with it but I acquired an oil fired boiler, had several hanging fan coil units from several different remodel jobs I was on. Installed the boiler and the FCU's, again turn it on and run it while you are in there working, then turn it off when you are done. No problems with that system either. I can turn the thermostat down at night and leave it run if I need to keep the shop warm overnight. I may heat my house with wood but my shop time is better spent working on projects than starting and tending a woodstove. Those double barrel stoves put out a lot of heat. They will, "Heat a hay rack!" Miller Mobile home furnace with a cottage base in my shop. Place stays at 60 all the time unless i want it warmer. No hauling anything. 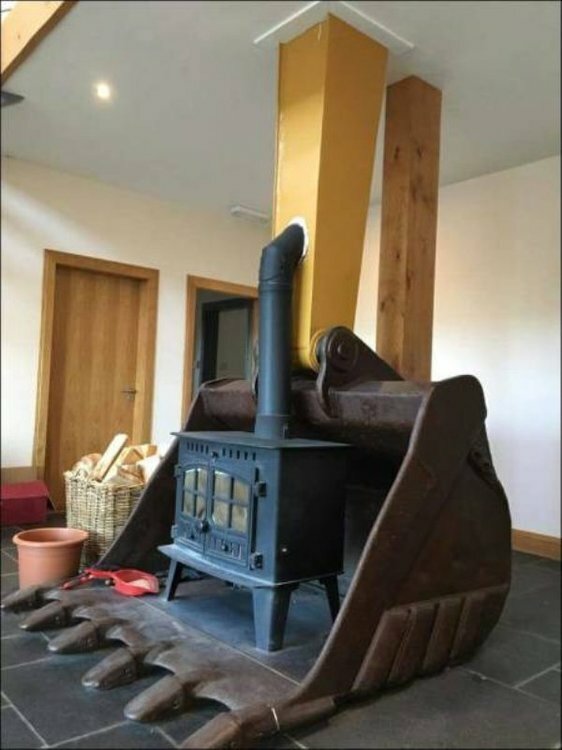 Funny but we have a wood furnace in the house, well a combination wood/oil. House seems to be more comfortable on wood probably because the blower runs constantly. 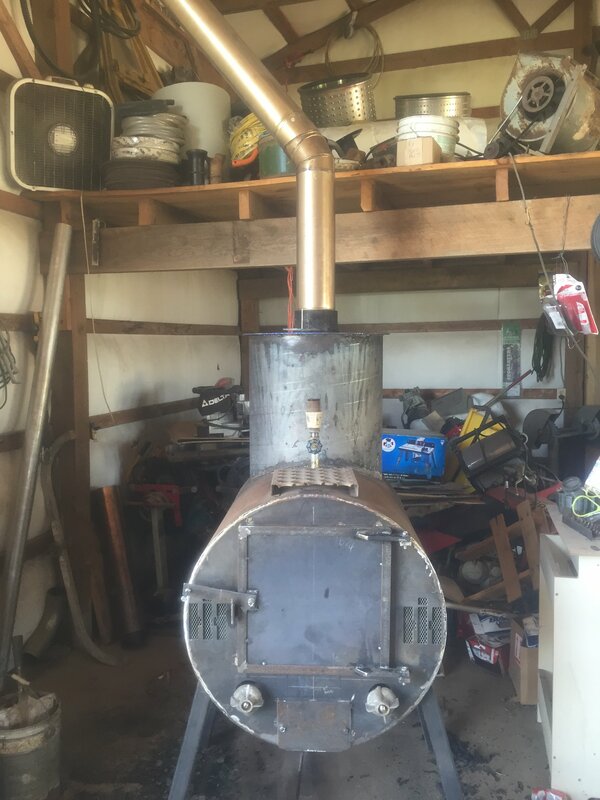 Friend of mine had the barrel stove. The thin sheet metal always concerned me. I remember him hauling it to the dump after a visit from his insurance man.